Malice in Wonderland is an interesting rock group to say the least. With a sound that is unique, powerful, and oftentimes very passionate the way that these guys craft a sound is impressive. The thing is with this band that everything is polished, precise, and often just feels right. Yet, do not make the mistake of thinking that Malice in Wonderland are mere posers trying to make a buck, no, there new record The Royal Brigade wholly disproves that with its unique approach to the genre that we all know and love so well. This is what rock in the twenty first century is meant to be. From the bombastic introduction of Diamonds, you know that you're in for something special, it sets up a suitably epic backing for the record to come. One of my favorite aspects of the record is the way that it seems to ebb and flow, moving between light and dark. The frequent use of electronic elements helps to make things special, it gives an interesting timbre to the music and gives the entire thing a unique flavor. This is immediately established with the second track, Black Wings, and goes on to affect the flavor of the rest of the album. The way these synth riffs are mixed with more rock and roll elements (like the solos) is a big part of what makes The Royal Brigade so engaging. Borne out of the minds of a group of Norwegian dudes who shared a passion for music, Malice in Wonderland seems to be achieving new frontiers with every passing day. Now, there latest triumph is almost ready to hit shelves. The legendary John Fryer has made this record sound fresh and promising and helps to establish the magic of Malice in Wonderland. 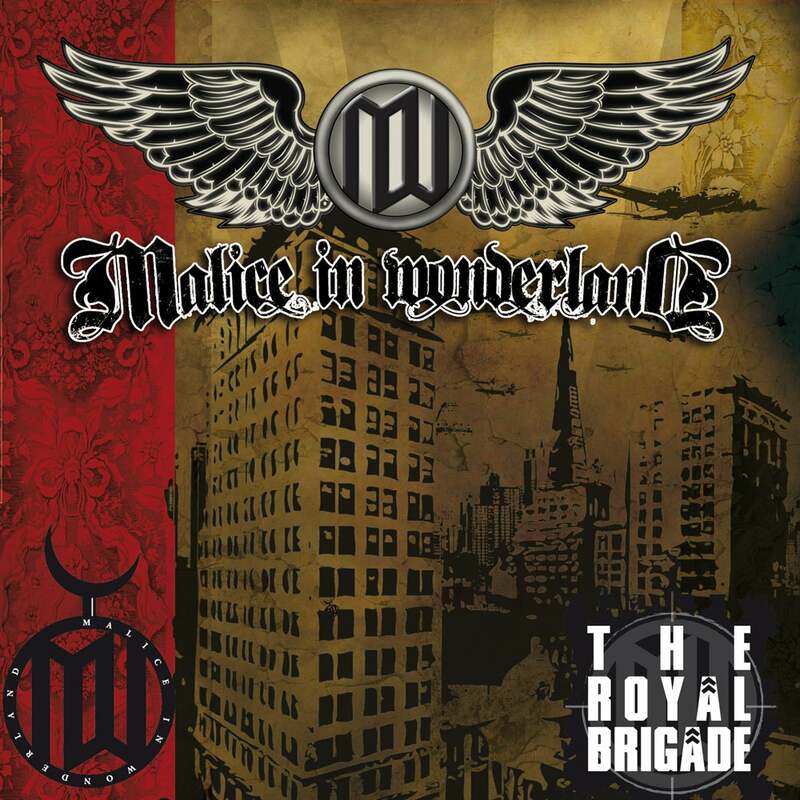 A record with a unique and powerful aura around it, Malice in Wonderland are a joy to listen too and The Royal Brigade shows an excellent understanding of both songwriting and rock and roll music, if you want proof that rock will never die then this is the band for you!